In San Francisco, a bunch of food writers and environmentalists recently gathered to taste some breakfast cereal and no doubt hum along to our theme music, which is composed by B.J. Leiderman. This breakfast cereal has an ingredient that's being touted as a step toward solving some of our planet's worst environmental problems and reversing a choice made by our distant ancestors. NPR's Dan Charles has the story. DAN CHARLES, BYLINE: There's an environmentalist named Wes Jackson, a prophet of the prairie who says humanity took a wrong turn thousands of years ago. CHARLES: Here's Jackson giving a speech at Oregon State University explaining that this was when humanity became dependent on plants, like wheat and rice, that grow from seeds that have to be planted every year. JACKSON: Which means that if you're going to get your seed to germinate, you got to destroy the vegetation at the surface. CHARLES: You have to clear away anything that competes with your fragile seedlings, which means you wipe away habitat for birds and insects, lay the soil bare, so it washes away and pollutes streams and rivers. Jackson dreamed of a totally different style of farming based on the example of the prairie, and he set up something called the Land Institute in the middle of Kansas to pursue this dream. Tim Crews is research director here. TIM CREWS: This is a patch of native prairie. CHARLES: We're looking at a carpet of grass, wildflowers and clover. These plants live right through the winter. Their roots go deep into the earth. CREWS: This is the vegetation that actually builds soil. It's what created the rich soils that feed us across the breadbasket of the Midwest. CHARLES: And the Land Institute says we should be getting our staple food from plants like this - perennials, plants that stay rooted in the ground year after year. And they're feeling pretty excited at the Land Institute these days. They may have a real perennial grain on their hands. It's a relative of regular wheat called intermediate wheatgrass, which sounds kind of clunky, so they've renamed it Kernza. 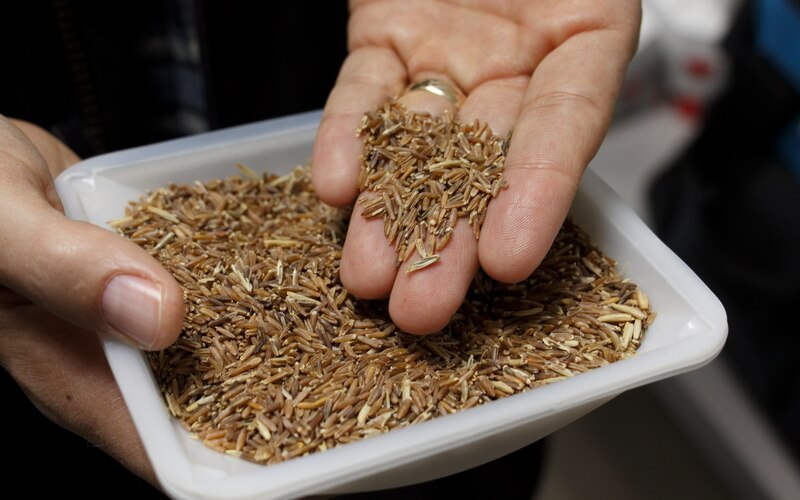 For the last 15 years, Lee DeHaan has been cross-pollinating individual Kernza plants, selecting the best offspring, paying particular attention to the size of the seeds they make. Bigger seeds means a bigger harvest to mill into flour. LEE DEHAAN: As you can see, the seed is pretty small. It's about one-fifth the size of wheat. CHARLES: But it's twice as big as when he started. A few farmers now are growing small fields of Kernza, 40 acres or so, harvesting it with combines. And the most amazing thing is General Mills, the company that makes Cheerios and Wheaties, now says it wants to make cereal out of it. Here's Maria Carolina Comings, the marketing director for the company's organic brand Cascadian Farm. MARIA CAROLINA COMINGS: I think the R&D team saw this lovely grain and thought, there is something we can do with it. CHARLES: In the past few months, General Mills gathered up all the Kernza grain that the company could find, milled it and made 6,000 small boxes of cereal to hand out as samples - Honey Toasted Kernza. COMINGS: We want to scale this and be able to find it in any grocery store, sitting on the same shelves. CHARLES: If you're curious, it looks and tastes kind of like Wheaties - pretty sweet. 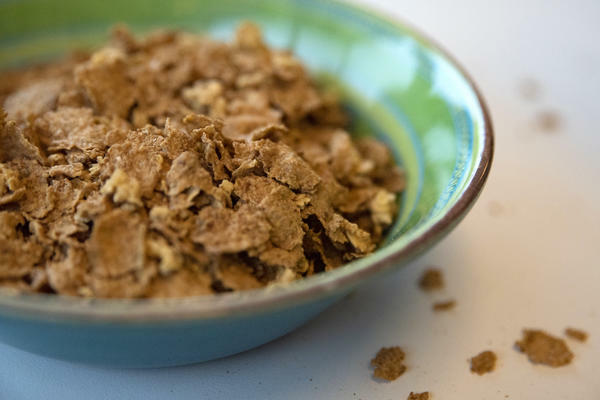 But General Mills wants to market it, probably years from now, as the first cereal made from grain that grows like grass on the prairie, protecting the soil, taking carbon from the air and storing it in the earth. COMINGS: You can start to be a part of the solution to climate change by eating a cereal, which is just so lovely. CHARLES: People at the Land Institute pursuing Wes Jackson's radical environmentalist vision don't want to promise too much too quickly. One of them said trying to commercialize Kernza now is like taking a car for a test drive when it's just halfway down the assembly line. But they have grand ambitions, too. Lee DeHaan says we don't want perennial crops, like Kernza, to be boutique items for eco-conscious consumers. To have a real impact, they need to cover the landscape - millions of acres. (SOUNDBITE OF THE B-52S & BRUCE HORNSBY & THE RANGE SONG, “THE WAY IT IS”) Transcript provided by NPR, Copyright NPR.